The Caremart EZ-Lite is stable and on course. This is to use the Caremart EZ Lite walker ideal for people with higher body weight. 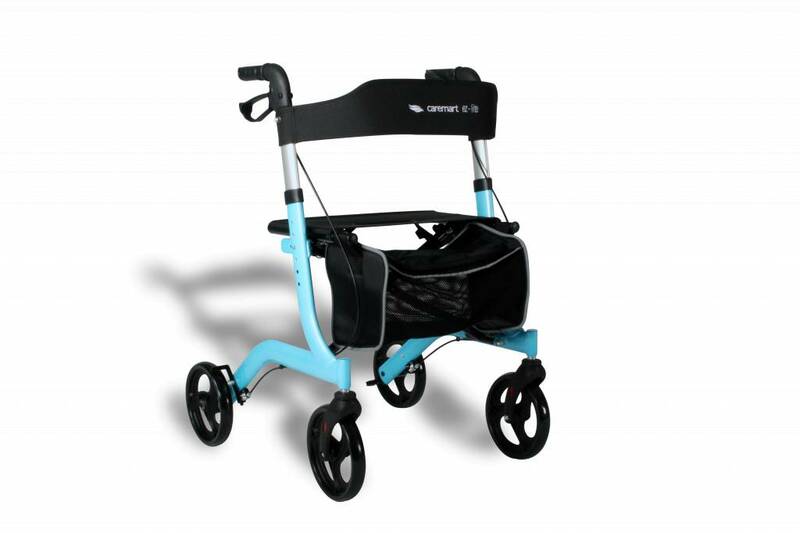 The Caremart EZ Lite walker is a modern designed lightweight walker, which is still very robust and stable. This contemporary walker is folded to a manageable size, so you can take it easy. 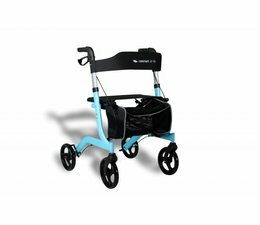 Thoughtful design allows you to maneuver easily with this additional walker. The seat has a back support and is ideal for rest of life. The sturdy detachable bag easily take some things or groceries with. All this makes the Caremart EZ-Lite a perfect walker for everyday use. The walker has pleasant anatomical shaped handles that are adjustable in height. The tires of the walker are leakproof, another care less. Obviously, this Caremart EZ-Lite with a parking brake, lock and secure remkabelgeleiders. In the special container to bring your walking stick easily. The Caremart EZ-Lite is available in different colors.